My Promise? Simple: You are in for a treat! Surprise gift awaits the first booking! I give you a soiree of good food and fine wine. You pay me what the evening was worth to you. To the new happening in Vienna. As most of you already know, cooking is one of my two main passions – the other being writing. I have decided to marry these two darlings of my life. Beginning from the end of this February, you will now get to experience this love of mine on a regular basis – subject to your generosity of course :-). A promise to lean back and just enjoy! Do inform me (well in advance) if you have any food allergies or preferences. Do be adventurous. Try meals first before you decide that you do like them. Do get up and serve yourself drinks, food (etc.) this is not a traditional restaurant; so I don’t have waiter (waitress). Do recommend me to your friends and everyone you know – by word of mouth or via your social networks. If you are a singer, poet or comedian, do request to entertain the other guests, if you feel so inclined … I will grant your request. Do be punctual. You are paying me to supply you with freshly cooked food; it will not be fresh if you turn up late. Do be generous – this is a new concept here in Vienna and for it to work your generosity is essential. If you feel especially satisfied and you would like to express this satisfaction to me or my assistant in tips, or any form of gifting – do feel free to do so. Do respect the fact that you are in my private space. 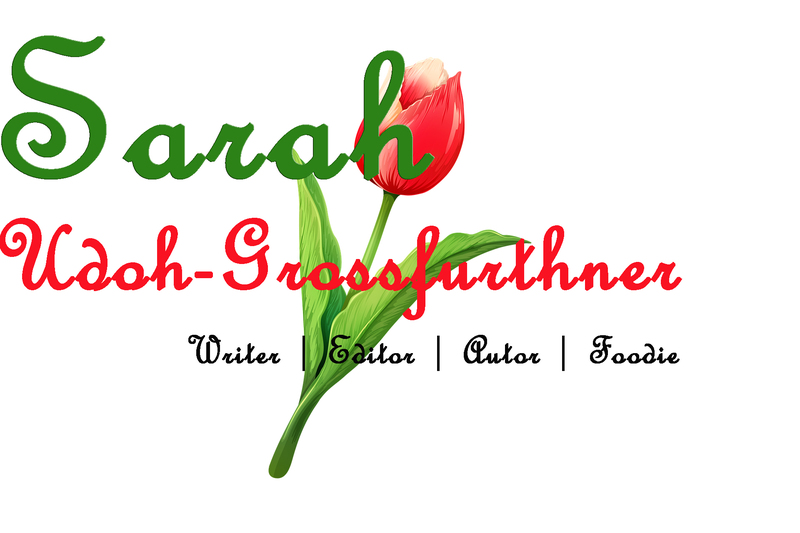 If you are a farmer and would like to supply me with fresh farm products for A Day in Sarah’s Kitchen – do make your request known. Don’t be litigious. I am an artist struggling to survive. I have no time (nor money) to attend to legal disputes. Individual’s system may sometimes react (at the initial stage) to cuisines to which it is not accustomed. I prepared all the meals with extreme attention and care, using the freshest ingredients and seasonal vegetables; IF your system reacts negatively at first to any of my dishes, it will not be as a result of improper hygiene. By booking me after reading this, you are waiving your rights to any legal dispute with regard to A Day In Sarah’s Kitchen. Don’t turn up late. You are not the only dinner guest, be considerate. Don’t cancel at the last moment. I would already have made provision for the number of guests expected (including you!). It would be unfair to my purse – not to mention wasteful. Don’t’ be rude to me or to anyone assisting me. We will treat you with utmost respect and courtesy at all times, be kind enough to accord us the same. When in doubt about what constitute ‘good’ manners, consult the 1920s booklet (on Etiquette) ‘1001 things everyone ought to know’. Sensitivity and respect for the dignity of all my guests, who are from different cultural background is of the utmost importance. Don’t be intolerant. Don’t get drunk. The wine is an accompaniment to your meals, not the main food. If you feel the need to be flushed with alcohol, finish your meal quickly and go to a bar. Don’t be stingy. You would not pay pennies for expensive dishes of lamb, king prawns, crabs, scallop, muscles, beef shanks (etc.) at a regular restaurant, why do that at home that provides great atmosphere and networking in addition to great meals? In the course of the evening you may be lucky to establish a good business, or private, relationship with another guest – great for you! However, know first and foremost that this is not a pick-up joint, so don’t be obnoxious. If you have any complain, whisper it into my ears and I will do my utmost to put it right – don’t bad-mouth me and my business after leaving my home. I am trying my best to be a good contributing citizen of Austria; give me a break!